Online courses usually consist of more than one class and they focus on a topic in more depth. Terrorism is, undoubtedly, an ever-growing, worldwide phenomenon. The attacks that can be linked to terrorism have been on the rise in the past few years, and it has become clear that more and more law enforcement agencies have to co-operate. With this online course, student can learn about the basic vocabulary and grammar that help the communication between them and their colleagues abroad. We are providing a new online ESL Skype course that will help you discover the prison system. In these two classes (2 x 60 min.) we concentrate on prison vocabulary, which contains the types of prison (jail, prison, correctional facilities), crimes, slang, or the question of the death penalty. In this online course, students will focus on the terminology of law – especially the ones that concern Law Enforcement: types of courts, or the terminology of the court with Latin expressions. In this online course, students are familiarized with the concept of organized crime and its related fields, such as THB, Human Smuggling, Drugs, Cybercrime and Money Laundering. Students are required to compose essays and to talk about their professional background during the course. Introduction to Criminal Profiling online course deals with handwriting analysis of serial killers, different approaches to profiling (FBI vs. British), offender myths and reality, special vocabulary used by profilers as well as the corresponding grammar and vocabulary of describing suspects. To enhance practicality, some of the aspects of Crime Scene Investigation (CSI) are also discussed. Singles are 1- or 2-hour online classes on a specific subject. Usually, they consist of one grammar part and a special vocabulary part. 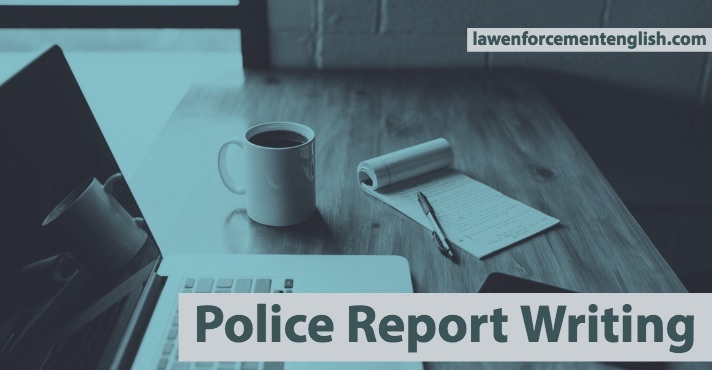 In our new Single course, Police Report Writing, we go through these essential rules, examine how to be clear and objective and learn about writing concisely. Of course, we do not have to forget about the grammar parts with the help of which we can make our police reports professional. We find answers to questions, like: “When should my report start?” or “How shall I start my report?” Obviously, there is no finite answer, as situations or crimes are not the same. Forensic Sciences – especially Forensic Psychology tackles the issue of how we witness certain events of a crime. In this online class, students can test themselves in such situations and can make use of witness interrogation. Introduction to Social Engineering is a unique approach to learning English. In this online class the phenomenon of deception is discussed alongside with body language and students can develop their verbal skills of suspicion. If there is a topic that is not mentioned, but you would like to enhance your Law Enforcement Vocabulary and/or Grammar, Classes are for you. This is a general class via Skype, where the topic of your choice within the field of Law Enforcement is studied.